Automate database back-up deletion easily. Activate menu items whenever you want to! Upgrade your eZee BurrP! Restaurant POS software to avail the benefits of the enhanced version. Install the new version of the Restaurant POS and get benefit of various enhancements. Now you can activate menu items whenever you want to ! 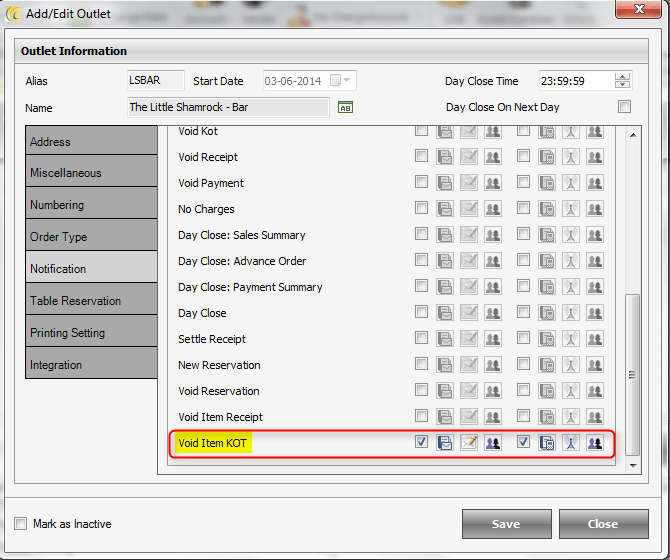 In the new version, you will be able to activate/de-activate menu items on timely basis from POS Back Office easily. 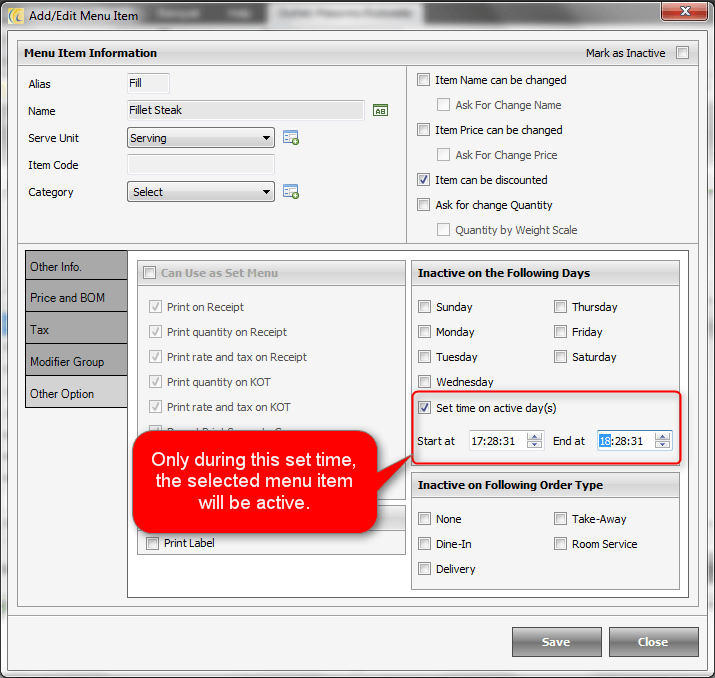 This becomes helpful when you want to serve a particular menu item only during a particular time of the day, you will be able to set the time as required. Additionally, you can even choose the order type (like Take-away, Dine-in..) for which you want to keep the menu item in-active. You will now be able to receive an SMS alert if a KOT Item is cancelled. This feature can be enabled from POS Back Office. Stay updated on the canceled items at the store so as to keep track on the wastage and inventory. In this version of eZee BurrP! POS, we have introduced automatic deletion of back-up database. 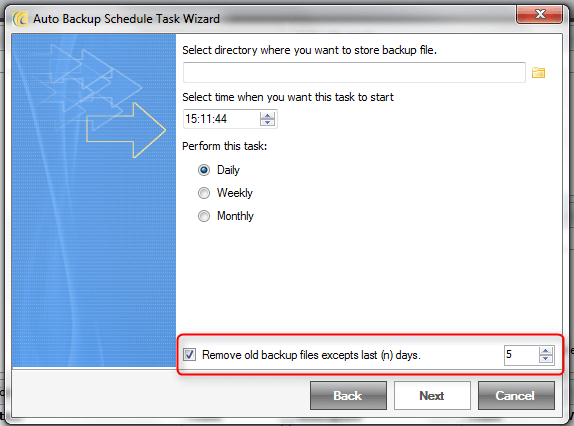 Set the time when you want to delete your back-up database, and it will be deleted on its own. This feature will save you precious storage space and more importantly the time spent in deleting the back-up database manually. In Banquet Booking, additional User Audit-trail log for “Generate Invoice” and “Void Invoice” function . If your eZee BurrP! System is integrated with eZee Absolute cloud PMS, you get Tax Bifurcation while posting room charges. In order to see month-wise report in Yearly Sales Report, we have added check boxes for each month. To keep a check on the wastage of item resources and voided items, we have added a drop down list to obtain different receipt reports for wastage and void items. You now get an option to add menu item as per order type. A pop-up message will be displayed while trying to generate receipt for a table for an amount which is less than minimum charge. More restrictions on user rights to provide complimentary items to guests. If KOT Item is canceled before creating a receipt, it will be reflected in the User Activity Log Report. Date-wise filter available in Time Sheet report.